Zombie Women: You can’t live with them, but you can shoot them. These two beauties can be found in the Zombie Horde I. Find the Horde in the Creatures Section of the Victory Store. 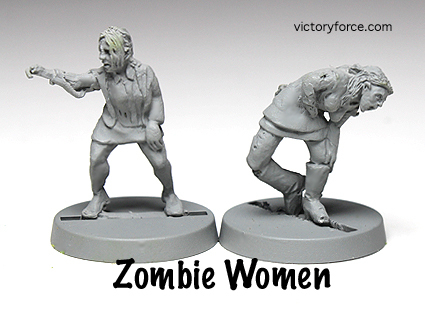 This entry was posted in Spotlight and tagged figures, miniatures, spotlight, zombies. Bookmark the permalink.